3-D Printers: A Maker Family Essential? Joel Telling is a Seattle-area dad of three kids (10, 9 and almost 8) who owns more than 15 3-D printers and is an ardent fan of the technology. In April 2015, he launched his YouTube channel, 3D Printing Nerd, to review, demonstrate and champion printers for fans of all ages. The channel now has about 40,000 subscribers. 1. Can you afford a 3-D printer? Read up on other hot tech trends including drones and virtual reality. Plus, learn how your family can get this cool tech in your life soon. 2. How do you figure out how involved you need to be as the parent? If a kid is going to ask a question about the printer, the parent either should know the answer or know where to get it, Telling advises. Many printer manufacturers have support; plus, there are Facebook groups, Google+ groups, YouTube channels, forums and blogs dedicated to every printer available. Parents should do their own research before buying by reading the questions and answers in some of these groups, Telling suggests. 3. What else should you look for in a printer? Take into account the child’s technical level and what he or she will want to do with the printer. Some users want to print costumes, masks and props for cosplay; others want to make jewelry or Pikachu creatures, Telling says. Check out examples of items that have been made by each model you are considering. Read reviews and watch demos such as those on Telling’s YouTube channel. FDM printers (the acronym stands for “fused deposition modeling” and is the type of printer Telling uses) build parts layer by layer from the bottom up by heating and extruding thermoplastic filament. There is some plastic smell, and parents will have to decide where to store the printer based on how much the smell bothers them. “When melting plastic, we’re talking about extremely hot temperatures. So with young kids, be careful about that,” Telling advises. SLA (stereolithography apparatus) printers, which work by curing resin with light, will be beyond many families’ budgets and have some more complex safety considerations, Telling says. 5. Is this technology here to stay, and will it really hold my kid’s attention? Read more from our November 2016 print issue. “3-D printing technology is rapidly evolving,” Telling says, but there’s no reason not to buy now. “I’m a big advocate of exposing kids at a younger age to this type of technology, and to help get more girls and women into this technology,” says Telling, who consults with schools about printing technology and serves on the Shoreline Public Schools STEM (science, technology, engineering, math) advisory board. 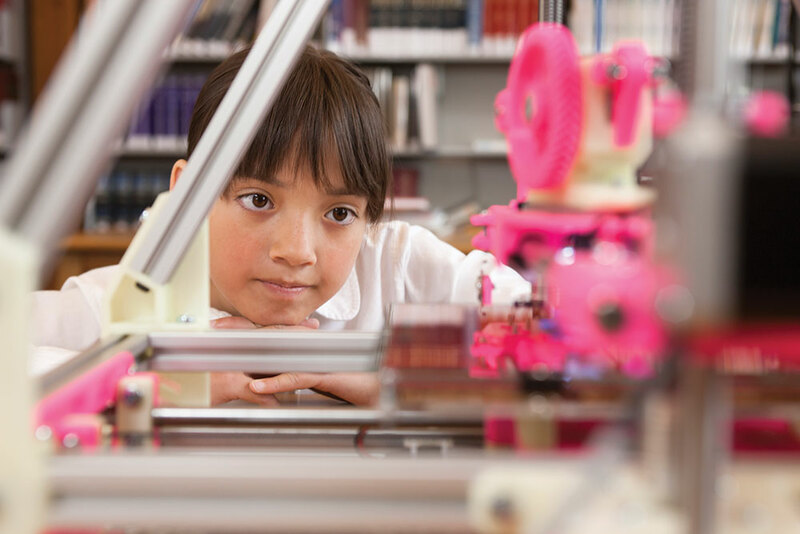 Exposing kids to 3-D printing while they’re young “is incredibly advantageous for their future,” he says. Are You a Distracted Parent? Natalie Singer-Velush used to write for newspapers and once pumped milk in the bathroom of the King County Superior Courthouse while covering a murder trial. Natalie is Canadienne via California and now lives in Seattle with her husband and two daughters. She likes cool sheets, cupcakes, tall men and obedient children. She previously served as ParentMap's executive editor.